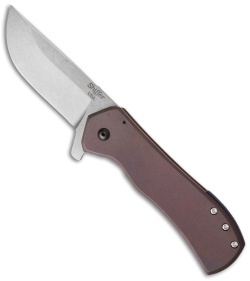 The Field Grade Recon folder is a mid-tech model from Doc Shiffer Knives that displays excellent build quality and smooth action. 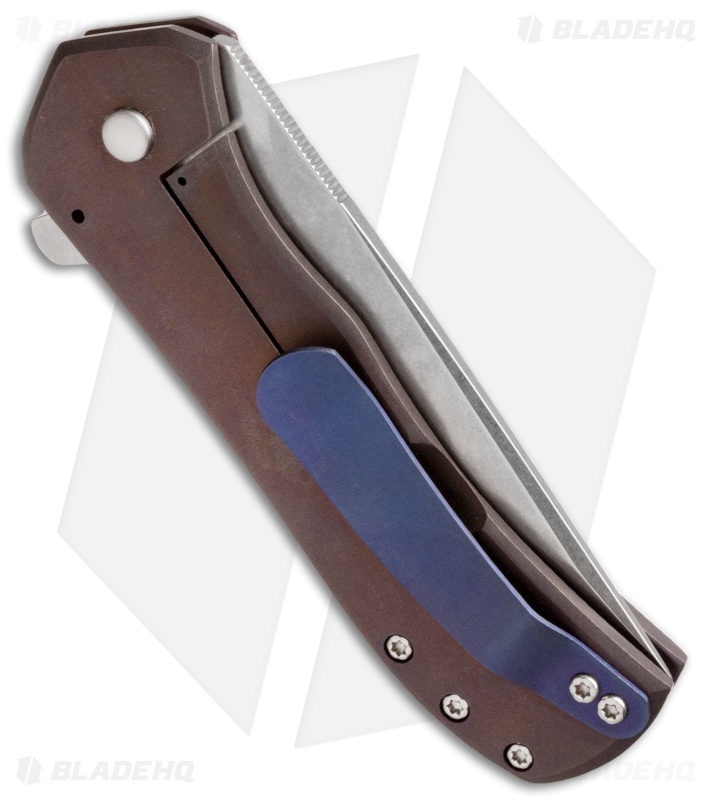 It has a stonewashed blade with flipper opener and a tumbled, root beer brown anodized titanium handle and blue pocket clip and back spacer. 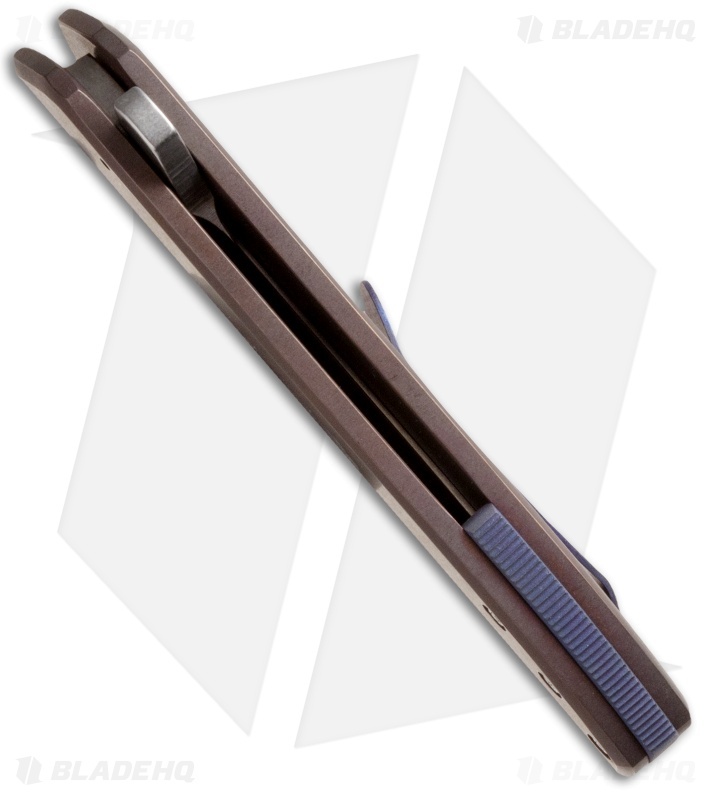 The titanium is 0.15" thick and the edges are chamfered for comfort.